A PCBU needs to ensure that all chemicals that are used, handled, stored or generated by the workplace have been identified in consultation with workers. The identification of hazardous chemicals can be completed by referencing the Safety Data Sheet (SDS) (Formerly Material Safety Data Sheets (MSDS) and the chemical labels. Provide you with a Safety Data Sheet as outlined in the legislation at the commencement of this document. Ensure that the information contained on the Safety Data Sheet and labels are correct. If there is any concern in regards to the accuracy of the Safety Data Sheet or label, for example the information is different or contradictory, then initial contact should be made with the manufacturer/supplier. Information on chemicals can also be found in the Hazardous Substances Information System (HSIS) database accessed through Safe Work Australia. What must Officers, Managers and Supervisors do? 1. Check current hazard identification arrangements. 2. Determine whether they meet the requirements of the legislation and codes of practice. a) Assess current procedures for obtaining SDS to ensure that they are provided for every hazardous chemical and are easily accessible by workers. b) Determine whether an SDS for every hazardous chemical and for every different concentrate of the chemical is available. c) Ensure that there is a procedure in place to review and update SDS at a minimum of at least once every 5 years. d) Determine whether there is an effective process in place for checking SDS and labels so as identify hazardous chemicals. e) Assess whether there are procedures in place for obtaining hazardous chemical information from other sources, such as manufacturers and suppliers. Manufacturers and importers must determine and classify the hazards of the chemical and include the information on labels and Safety Data Sheets. Labels may not always contain all hazard information due to the small size of the label and therefore the SDS should be referred to when identifying chemical hazards and ensuring the correctness of the information. In some instances a chemical may not have a label or SDS, for example fumes generated in the workplace from an activity such as diesel exhaust fumes from truck engines. The risk associated with chemicals produced or generated in the workplace must be managed. A manufacturer or importer of a hazardous chemical must prepare a safety data sheet for the hazardous chemical before first manufacturing or importing the hazardous chemical. If that is not practicable, as soon as practicable, after first manufacturing or importing the hazardous chemical and before first supplying it to a workplace. Amend the safety data sheet whenever necessary to ensure that it contains correct, current information. Asks for the safety data sheet. S.341-343 requires that the Agency ensures that the hazardous chemical, the container of a hazardous chemical or a hazardous chemical in pipe work is correctly labelled. S.335 requires that the manufacturer or importer of a hazardous chemical must ensure that the hazardous chemical is correctly labelled as soon as practicable after manufacturing or importing the hazardous chemical. A hazardous chemical is correctly labelled if the selection and use of label elements is in accordance with the GHS and it complies with Part 3 of Schedule 9.
c) It is reasonably foreseeable that the hazardous chemical will be used in a workplace only in: a quantity and in a way that is consistent with household use and is incidental to the nature of the work carried out by a worker. This clause does not apply to hazardous chemicals in transit. c) Is labelled in accordance with that Act or an order made under that Act. S.338 requires that the supplier of a hazardous chemical must not supply the hazardous chemical to another workplace if the supplier knows or ought reasonably to know that the hazardous chemical is not correctly labelled in accordance with clause 335. Occupational noise-induced hearing loss is caused by exposure to excessive noise at work. The degree of hearing loss increases with the length of exposure and the level of noise. It is almost entirely preventable but, once acquired, the damage is mostly irreversible. Hazardous noise can destroy the ability to hear clearly and can also make it more difficult to hear sounds necessary for working safely, such as warning signals, instructions etc. Damage to hearing generally occurs gradually over a number of years. It is often an irreversible condition that can have a terrible impact on a person’s life. Hearing can also be damaged immediately by exposure to impulse noise such as from explosive powered nail guns, firearms, stamping presses and forges (known as acoustic trauma). The hair cells in the inner ear are destroyed by loud noise. Once they are destroyed they do not grow back. – providing audiometric testing to a worker who is frequently required to use personal hearing protectors to protect the worker from hearing loss associated with noise that exceeds the exposure standard. 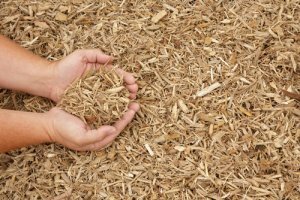 Designers and manufacturers of plant must ensure the plant is designed and manufactured so that its noise emission is as low as reasonably practicable. In addition, they must provide information about the noise emission values of the plant and any conditions necessary for minimising the risk of hearing loss and other harm. Officers – Those in a position who can make, or participate in making, decisions that affect the whole, or a substantial part, of the business of the corporation, such as company directors, have a duty to exercise due diligence to ensure that the business or undertaking complies with the WHS Act and Regulation. They must take all reasonable steps to ensure that the business or undertaking has and uses appropriate resources and processes to eliminate or minimise the risk associated with noise in the workplace. 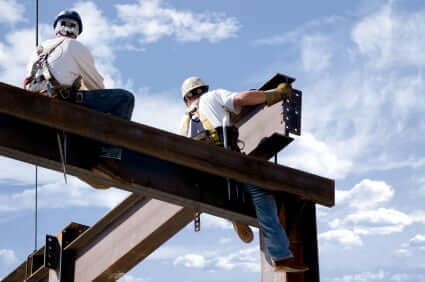 Workers – Any person who carries out work for a PCBU has a duty to take reasonable care for their own health and safety and that they do not adversely affect the health and safety of other persons. As a worker, you must comply with any reasonable instruction, policy or procedure relating to health and safety at the workplace. e.g. if you have been provided with hearing protectors by your PCBU, you must wear them in accordance the information, instruction and training provided on their use. What is required to manage the risks associated with hearing loss? According to the WHS Regulation, a duty holder must: identify reasonably foreseeable hazards that could pose a risk eliminate the risk so far as is reasonably practicable if not able to eliminate the risk, minimise the risk so far as is reasonably practicable by implementing control measures in accordance with the hierarchy of control maintain the implemented control measures so that they remain effective Review, and if necessary, revise, risk control measures so as to maintain so far as is reasonably practicable, a work environment that is without risks to health and safety. – Specialist skills in identifying sources of hazardous noise may not be required, but you must undertake the process in consultation with your workers and their HSR/s. As a guide, if you need to raise your voice to communicate with someone about one metre away, the noise is likely to be hazardous to hearing. What should you do if you identify activities that may pose a risk? The WHS Regulations require duty holders to work through a hierarchy of control to choose the control measure that most effectively eliminates or minimises the risk in the circumstances. The hierarchy ranks the ways of controlling the risk of hearing loss from noise from the highest level of protection and reliability to the lowest so that the most effective controls are considered first. Isolate the source of noise from people by using distance, barriers, enclosures and sound-absorbing surfaces. If there is a remaining risk, it must be minimised so far as is reasonably practicable by implementing administrative controls, and if a risk still remains, then suitable personal protective equipment must be provided and used. Effective risk control may involve a single control measure or a combination of two or more different controls. Those responsible for the purchase of plant, noise control equipment, personal hearing protectors and for the design, scheduling, organisation and layout of work. Once you have consulted with your workers and have identified that your workplace may have noise related risks, please refer to the appendices in the Code of Practice – Managing Noise and Preventing Hearing Loss at Work – December 2011, as detailed below, as they will assist you in determining the level of risk and the appropriate control options available. Exceed an eight hour noise level equivalent of 85 dB – Whether the exposure standard of 85 dB(A) averaged over eight hours is exceeded depends on the level of noise involved and how long the workers are exposed to it. Peak at more than 140 dB – Peak noise levels greater than 140 dB(C) usually occur with impact or explosive noise such as sledge-hammering or a gun shot. Any exposure above this peak can create almost instant damage to hearing. Who can carry out testing to determine the level of noise in my workplace? A noise assessment may not always need measurement. e.g. If the identified activity is using a particular machine, and the manufacturer has provided information about the machine’s noise level when in operation, then a sufficient assessment can be made without measurement. Where noisy equipment is used at various times for various periods, a visual and aural inspection may not be sufficient to determine levels of noise exposure. The Code of Practice – Managing Noise and Preventing Hearing Loss at Work states a noise assessment should be done by a competent person in accordance with the procedures in AS/NZS 1269.1 Measurement and Assessment of Noise Emission and Exposure. The more complex the situation, the more knowledgeable and experienced the persons needs to be. – Can interpret the results of the noise measurements. Firms providing this service are listed in the Yellow Pages telephone directory under the headings ‘Acoustical Consultants’, ‘Noise Control Equipment’ and ‘Hearing Conservation Consultants and/or Services’. It is a requirement of the WHS Regulations (58), that a PCBU must provide audiometric testing for a worker who is carrying out work for the business or undertaking if the worker is required to frequently use personal hearing protectors as a control measure for noise that exceeds the exposure standard – i.e. exceeds an eight hour noise level equivalent of 85 dB or peaks at more than 140 dB. Before introducing an audiometric testing program, you must consult with your workers and their health and safety representatives. It is important that your workers understand that the aim of the testing is to evaluate the effectiveness of control measures to protect their hearing. Audiometric testing and assessment of audiograms should be carried out by competent persons in accordance with the procedures in AS/NZS 1269.4:2005 – Occupational Noise Management – Auditory Assessment. where extra protection is needed above what has been achieved using other noise control measures. A risk assessment will assist in determining the type of first aid facilities. This could simply be a quiet, clean and private area within a workplace or it may identify that a first aid room or a health centre is required in certain workplaces. 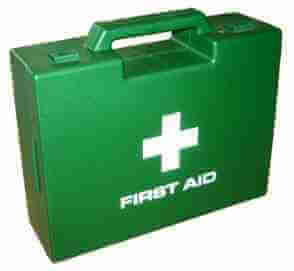 The contents of the first aid room should suit the hazards that are specific to the workplace. A Health Centre located at a workplace is staffed by a registered health practitioner such as a doctor, nurse or paramedic and is equipped to provide emergency medical treatment to cater for the types of hazards in high risk workplaces such as a large mine site. Eye wash and shower equipment may be permanently fixed or portable, depending on the workplace. Eye wash equipment should be provided where there is a risk of hazardous chemicals or infectious substances causing eye injuries. A PCBU must ensure that an adequate number of workers are trained to administer first aid at the workplace or that workers have access to an adequate number of other people who have been trained to administer first aid. As a minimum, the following ratios are recommended regarding the number of first aiders. First aiders should hold nationally recognised Statement/s of Attainment issued by a Registered Training Organisation (RTO) for the nationally endorsed first aid unit/s of competency. Apply First Aid provides competencies required to recognise and respond to common life-threatening injuries or illnesses, including life-support using cardiopulmonary resuscitation (CPR) and to manage the casualty and incident until the arrival of medical or other assistance. In low risk workplaces, first aiders are sufficiently trained if they can perform CPR and treat minor illnesses and injuries. Apply Advanced First Aid – provides additional competencies required to apply advanced first aid procedures. This type of training is suitable for some high risk workplaces. Manage First Aid in the Workplace (Occupational First Aid) – provides competencies required to apply advanced first aid procedures and to manage a first aid room. Provide First Aid in Remote Situations – provides the competencies required to administer first aid in a remote and/or isolated situation, including preparing for aero-medical evacuation. This type of training is suitable for high risk workplaces that are likely to have a major delay in accessing emergency services. First aiders may also need to undertake additional first aid training to respond to specific situations at their workplace. For example, first aiders should be trained to respond to anaphylaxis if this topic has not been covered in previous first aid training. Develop and implement emergency plans and first aid procedures to ensure that workers have a clear understanding of how emergencies and first aid is managed in their workplace. Regularly review your first aid arrangements in consultation with your workers to ensure they remain adequate and effective. Display well recognised First Aid signs to assist workers and other persons easily locating first aid equipment and facilities. required to notify WorkCover of incidents that are serious and/or dangerous in nature. required to notify WorkCover NSW about what has happened. Notification of an incident is a statutory obligation outlined in section 35 of the WHS Act. notification are outlined under sections 36 & 37 of the WHS Act. be transferred to WorkCover’s after-hours emergency service. wool or hair, animal carcasses or animal waste products. until a WorkCover inspector arrives at the site, or directs otherwise (whichever is earlier). determine the cause of the incident. apply for failing to do so. of an injury, illness or dangerous incident under the Work Health and Safety Act 2011.
practicable for clarification on 13 10 50. Harmonisation. This will give you a snapshot of the major issues at hand. required to consult, co-ordinate and co-operate on safety and welfare issues. likely to be, directly affected by a health and safety matter. • Do we interact with and do business with other WHS duty holders? • Who needs to be consulted? • How do we currently consult with each stakeholder or group? management system improved under our current practices? work health and safety matters? • Do we have consultation and communication charter and standards? 2. Transition arrangements – Yes or no? (each set of principles are at the SWA website)? and safety arising from work carried as part of the business. 6. Volunteers – don’t let them slip through the cracks…. 7. Due Diligence – you know the term – do you know what to do? Verify resources and processes – monitor and audit. means councils face unique challenges in addressing WHS compliance. should be understood by officers and workers responsible for safety systems. updated on council’s progress with compliance.